The "Lost & Found" sign is particularly apt. 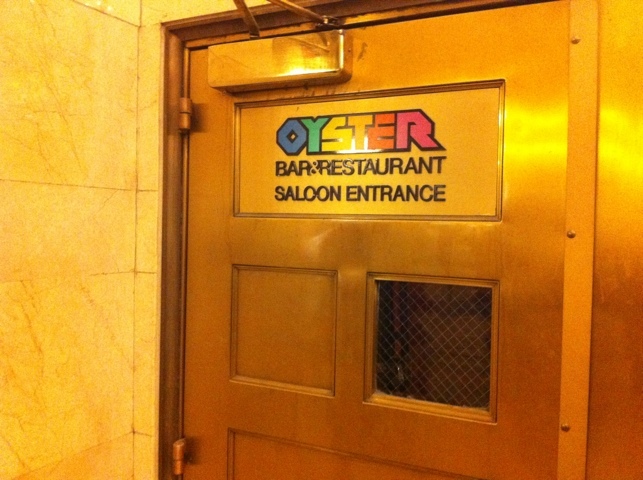 One of my favorite spots in New York City is the Oyster Bar at Grand Central Station. I love the “secret” entrance, which of course is no secret, but if you aren’t looking you might miss it. Can you see it? The “Lost & Found” sign is pointing directly at it. 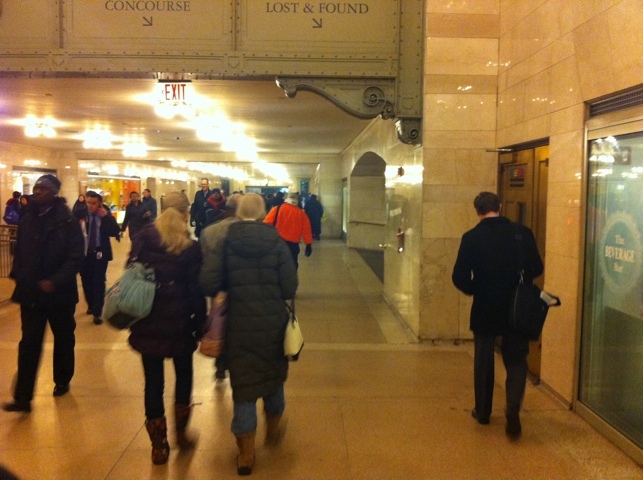 This entrance is in the southwest-most hallway of Grand Central, en route to the Shuttle train. Voila. Behind this door, happiness. OK, so it’s got a big sign on it, but nonetheless it’s in the middle of the hallway and I must’ve walked past it a million times before I realized it was there. The main entrance of course is on the dining concourse level below. The saloon is my favorite room. 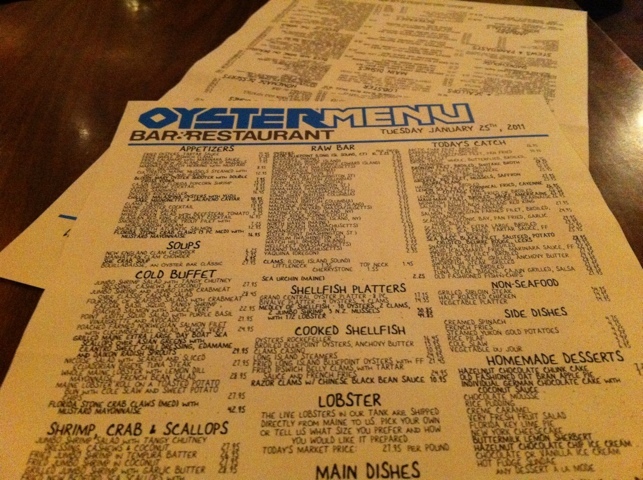 The Oyster Bar itself is divided into three rooms. There’s a proper dining room on the far end, the namesake “oyster bar,” with its curved tables and small, planted chairs in the middle, and the saloon. The whole structure is famous for its fantastic vaulted ceilings. I am particularly fond of the saloon, which as you can see has a clubby feel. 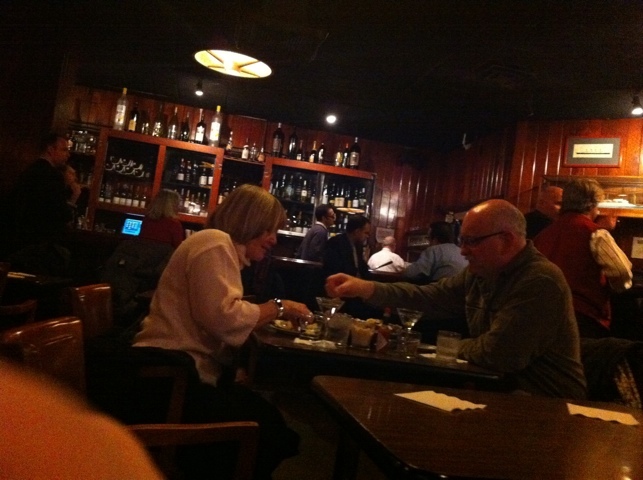 There’s of course a lengthy bar and perhaps a dozen or so tables for you to either drink or eat at. It can get a bit loud, but usually strikes the right low-key vibe. It’s a wonderful bar. Why? Notice the small glass behind the marti. 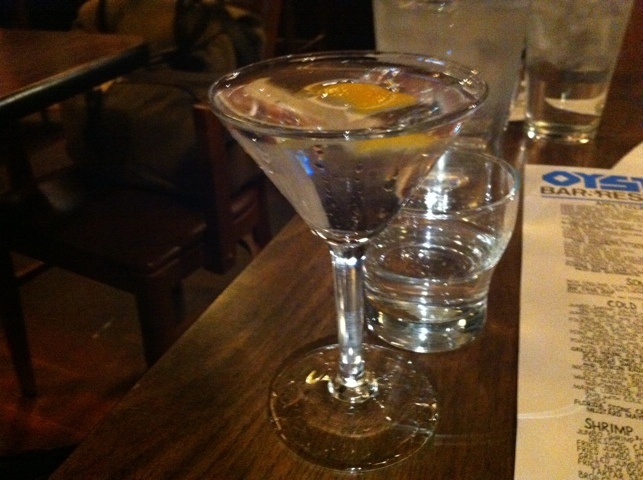 Do you see that small glass behind the one my martini is sitting in? It’s not full of water. No. The bartenders give you the “angel’s share” of your drink – i.e. that which didn’t fit in the initial pour from the tumbler. That’s service. Almost every place simply fills the glass and dumps the remainder. Not the Oyster Bar. Joy. There’s not a lot better in this town, in my opinion, than a post-work martini and a dozen oysters with pals in the saloon at the Oyster Bar. Everything about it just works. The martinis are well poured, as previously discussed, they have a great, constantly changing selection of fresh oysters to choose from, the room is wonderful brown wood – it’s just great. The menu is lengthy, changes daily, and is apparently written by hand. 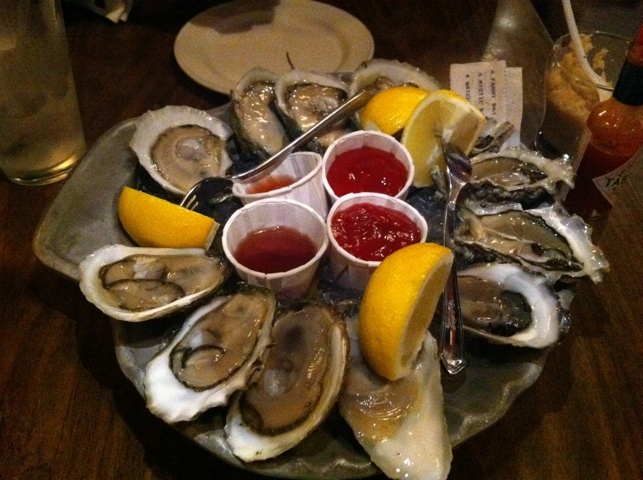 I should also mention the Oyster Bar offers a lengthy menu of fresh seafood, which changes daily. Naturally, they offer a lobster roll (which is expensive, served with sweet potato chips, and has a pretty hefty mayonaisse component), along with a wide, wide variety of other dishes. I am partial to Dover Sole, when they have it (but it can be very pricey). 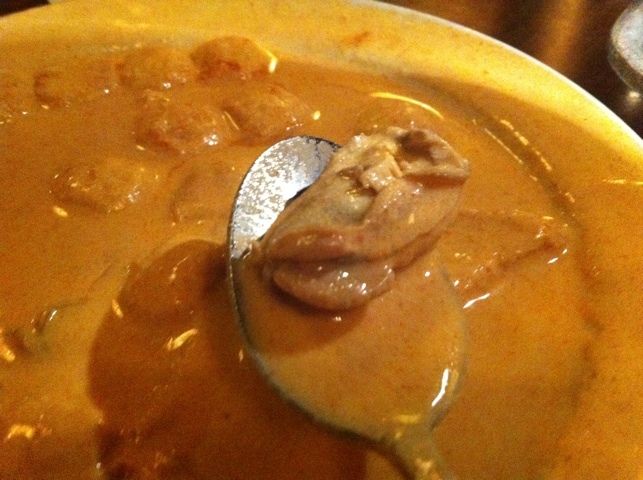 My brother is a fan of their oyster pan roast, seen below. There’s not a lot more to be said about the Oyster Bar. It’s a New York institution, and utterly wonderful and winning. A scene from the original “Death Wish” was shot in it – how much more New York can you get? ← Jean-Georges Vongerichten’s JoJo Is Wonderful, But What Did You Expect?